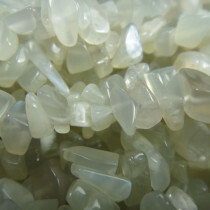 Moonstone has been used as jewellery for centuries, including ancient civilizations. The Romans admired moonstone, as they believed it was born from solidified rays of the moon. Both the Romans and Greeks associated Moonstone with their lunar gods and goddesses. 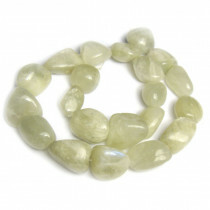 It is said that Moonstone carries lunar energy that helps to balance emotional upsets. 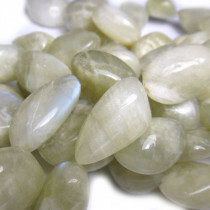 Moonstone has a gentle energy that helps to ease stresses and feelings of anxiousness. It can be used to enhance intuition. 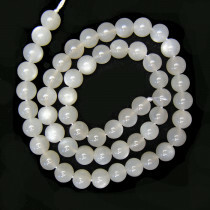 Moonstone Light Grey Gemstone Round 6mm Beads (66pce Strand) - 40cm/16'" Strand. 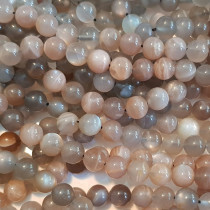 Multicolour Moonstone Gemstone Round 8mm Gemstone Beads (50pce Strand) - 40cm/16'" Strand. 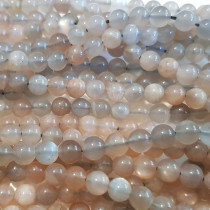 Multicolour Moonstone Gemstone Round 6mm Beads (66pce Strand) - 40cm/16'" Strand. 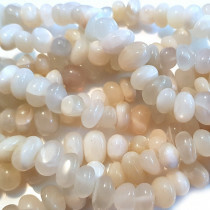 Moonstone Light Grey Gemstone Centre Drilled Nugget Beads ~8x10mm. (~58pce Strand) - 40cm/16'" Strand. 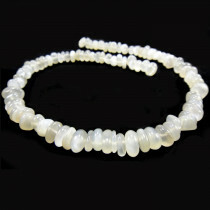 Moonstone Gemstone Polished Nugget Beads 12x16mm (~21pce Strand) - 40cm/16'" Strand. 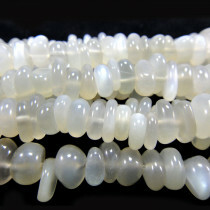 Moonstone Light Grey Gemstone Round 8mm Gemstone Beads (50pce Strand) - 40cm/16'" Strand. 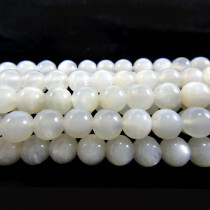 White Moonstone Gemstone Chips 5x8mm (~160pce Strand) - 91cm /36'" Strand. 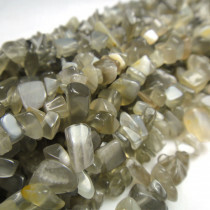 Grey Moonstone Gemstone Chips 5x8mm (~160pce Strand) - 91cm /36'" Strand. 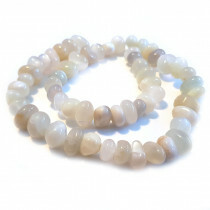 Moonstone Light Grey Gemstone Chip Beads ~4x9mm (~95pce Strand) - 40cm/16'" Strand.